Apple is rumored to be working on a more affordable iPhone for quite some time and even Tim Cook's denial of its existence isn't slowing down the gossip train. Today, purported images of the low cost iPhone have been spotted in China, pointing to a curvy plastic body in unison with previous reports. The images of the low budget iPhone have been obtained from two different sources, but have a similar design. 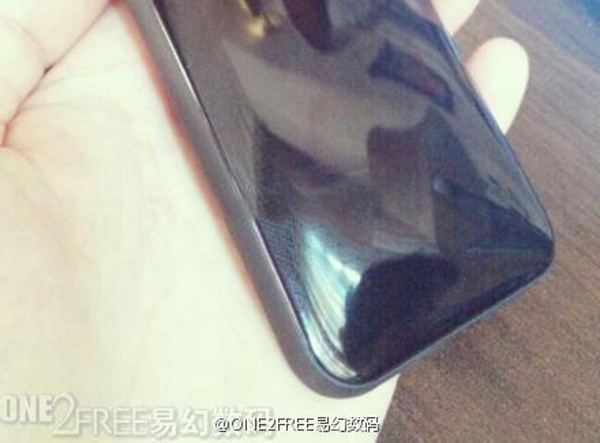 Both leaked images have a curved back, similar to what was earlier seen in the iPhone 3GS. The Weibo user, who leaked the images claims to have got its hands on the device and the user, confirms that the new design provides a good feel in the hands. Both images show the smartphone in a bumper case, so it's uncertain if the smartphone has a metal frame like its high-flying sibling. 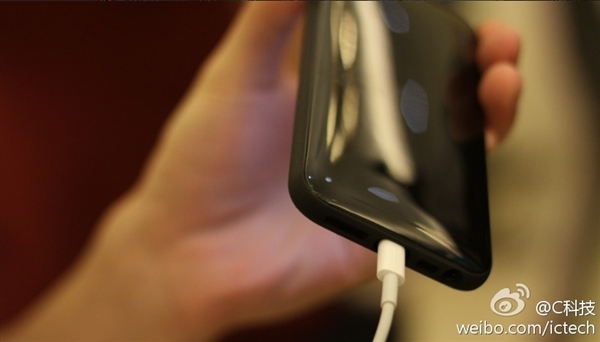 However, the image reveals the presence of 3.5mm audio jack, lightning port and a speaker. I give more... No FM integrated. Data I/O is crazy. Why does it go Flac file -> itune-> "flac for Appl" -> iphone so long route? On the air flac file -> iphone . Can?